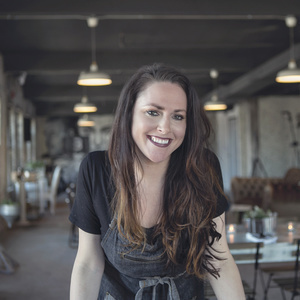 Chef Kate Williams worked under Wolfgang Puck before returning to her hometown of Detroit and finding her style of cooking–Nordic food with a little more romance– while in Copenhagen. Now she's about to open her first restaurant, Lady of the House, which Eater already named one of the most anticipated openings of the year. Kate works with local farms to spotlight the beauty of #uglyfood that would otherwise be thrown away. We talk to her about her sustainable philosophy when it comes to nose-to-tail and why everyone should grow their own food.